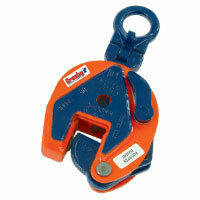 At Delta Rigging and Tools, Inc. we stock two brands of plate clamps for handling steel, JC Renfroe and Crosby IP. 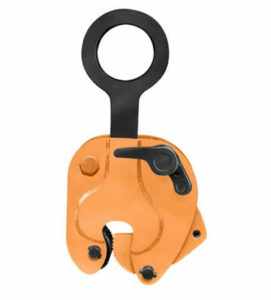 Plate clamps are a rigging accessory that are normally suspended from a crane hook and attached to steel to facilitate lifting. In order to purchase the correct clamps, customers will need to determine the correct size, shape, and weight of the steel being lifted before selecting the plate lifting clamp that matches the right capacity or grip range for the steel your handling. In addition to this selection process, customers will also need to know what orientation the steel is positioned at the beginning of the lift, along with what orientation it needs to end up in at the end of the lift. 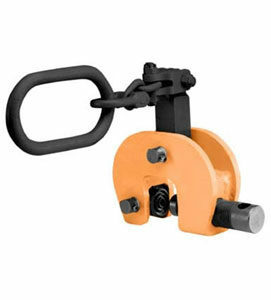 This is important as some plate clamps only lift vertically, while others can service a 90 or 180 degree range motion. 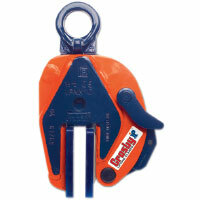 Other specialty plate clamps include clamps used for lifting steel beams, bundles of plate, or non-marring plate clamps.